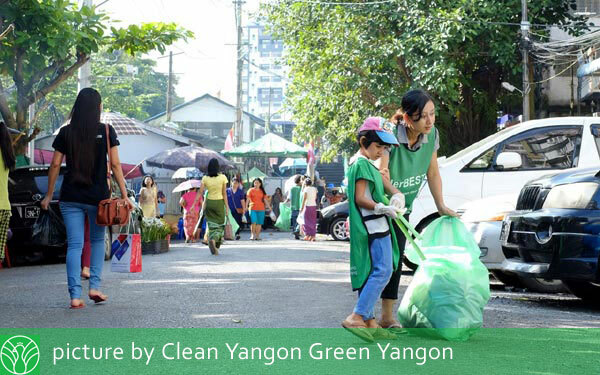 I saw an event in Yangon about cleaning-up the streets. This is a good way to immerse myself into the culture, meet people and do something for the community. I help clean-up coastal areas, why not streets? Of course I signed-up! 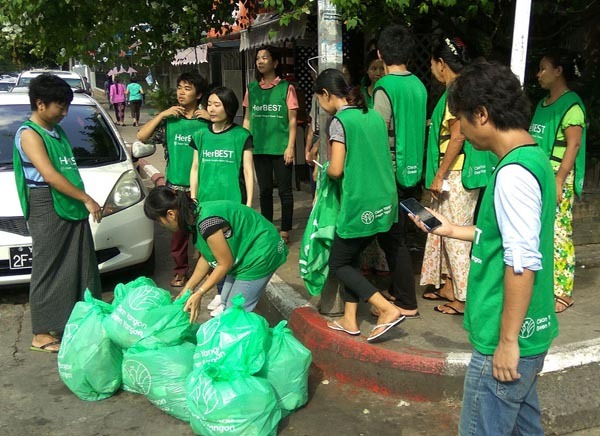 This is a monthly event on it 16th clean-up drive. It is organized by a Japanese and most of the participants (except me and a few locals) were Japanese students. 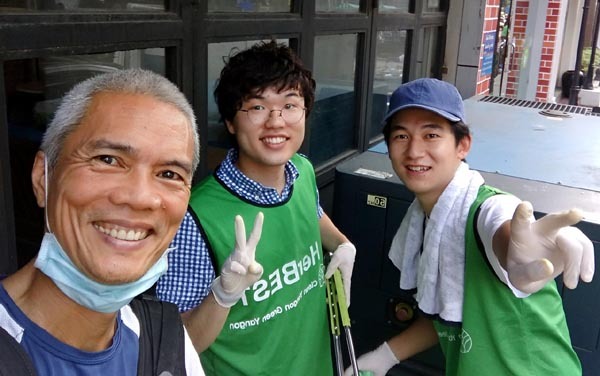 I was grouped with 2 other Japanese guys - we were a crew as we got into conversation while picking-up trash. 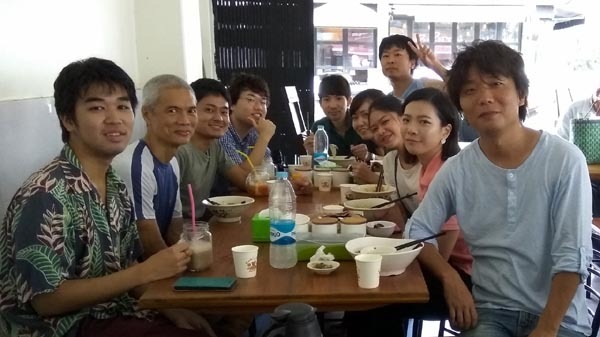 One is here learning to speak Burmese and the other one is here to study Myanmar culture and history. They added that not much is known about Myanmar and they wanted to know more. We were given gloves, tongs and a plastic sack. 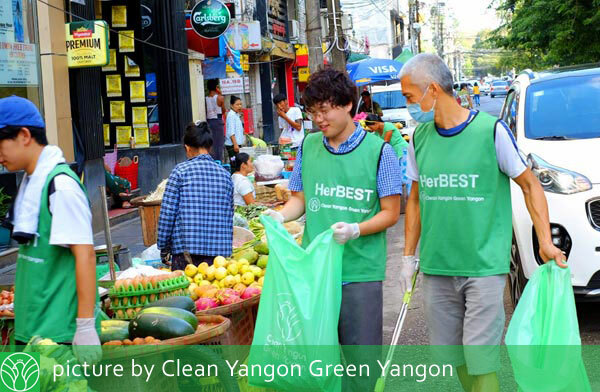 I noticed that Yangon's streets are actually clean to begin with. Sure, we picked-up garbage but they were not exactly the typical garbage you see in other capitals of Asia. Mostly, we picked-up cigarette butts and small litter. Cleaning-up is a noble cause that helps the environment. As an environmentalist, I try to get involved. But like all clean-ups I've attended, there is this conundrum knowing that the people who throw their trash will continue to do so...and we do the clean-up again. The cycle repeats itself. Sure, a clean-up drive increases awareness about trash management, but it only influences those who are already converted. The people who throw their trash are unaffected. Again, I have to say that the best approach to a clean-up drive is through proper education of those who need to be aware. But this requires a strong political will. Will authorities 'shame' litterbugs by making them do a full day clean-up themselves when caught? Again, it takes more than dedicated idealists like the ones who participated in this clean-up to make it happen. It's a community effort. I applaud these Japanese who chose to immerse themselves into cultural and social interaction by cleaning up the streets. There are many ways to build community - language meet-up in a bar or cafe (nothing wrong with that) or pick-up garbage and talk along. As a lone traveler, I get this privilege to join any community project that resonates with me. I get to be productive, meet people and also be useful. 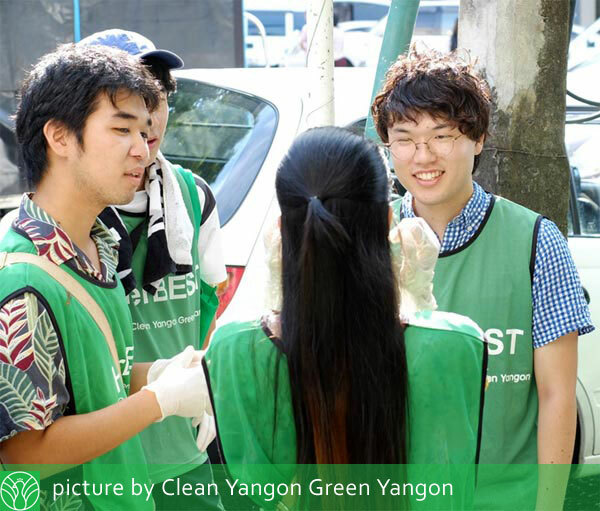 There are many other activities in Yangon and with my remaining time, I hope to get involved in those whose cause come closest to mine. take the shuttle bus from Airport to Downtown Yangon, it costs MMK 500. It passes through the main artery of Yangon.